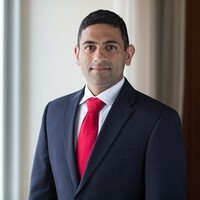 Raju Prasad, Ph.D., is Analyst at William Blair & Company, L.L.C. Dr. Prasad is a biotechnology analyst who is focused on therapeutics and joined William Blair in March 2014. Dr. Prasad previously worked as a research associate with the University of North Carolina at Chapel Hill’s Gillings School of Global Public Health and as an independent consultant with the U.S. Environmental Protection Agency. Dr. Prasad has a B.A. in cell biology and neuroscience from Rutgers University, an M.S. in exercise physiology from the University of Delaware and a Ph.D. in environmental sciences and engineering from the University of North Carolina at Chapel Hill with a focus in genetic toxicology and mutagenesis. “It is going to be a big year for gene and cell therapy, particularly for commercialization. Three products have been approved and launched already: Spark’s (NASDAQ:ONCE) Luxturna, Gilead’s (NASDAQ:GILD) Yescarta and Novartis’ (NYSE:NVS) Kymriah. In 2019, you will have bluebird’s (NASDAQ:BLUE) LentiGlobin potentially being commercialized in the EMA — European Medicines Agency — pending approval, which is expected sometime in the near term. Then, you also have potentially Novartis’ Zolgensma, which should potentially be approved midyear. I covered AveXis as well prior to its acquisition but do not cover Novartis. “Then, you’ll have companies for which, just based on a snapshot of the data, there will be an outsized selloff. Spark, in 2017, was a perfect example of that. You had two patients’ worth of data in August that showed 11% and 14% respectively at factor level, and the stock shot up 25% to 30%. Get all the detail on this and many other recommendations in the 3,000 word interview, exclusively in the Wall Street Transcript.